Kanakia Rainforest is a residential complex in the suburb of Andheri East was launched in June 2015. The project is being developed by "Kanakia Spaces" over 4.5 acres of landscape. Kanakia Rainforestis located in possibly the greenest neighbourhood of Mumbai and with acres of beautifully landscaped gardens and trees. The flats are provided with ample space and designed in a manner that can allow natural light and fresh air to each part of the home. The Rainforest project is to a new level of development being developed around the theme of Amazon Rainforest. The Rain Forest prices start between the range of Rs.97 Lakh to Rs.1.45 Cr. This development will be completed by this year 2018 in June-July. Kanakia Rain Forest is a mesmerizing township project. It is a joint venture between Guru Prerna & Kanakia Spaces over freehold plot from TATA's. The floor plans include 1 BHK(710-750 sq.ft B.up), 2 BHK(1053 sq.ft-1250 sq.ft) and 3 BHK(1378 sq.ft to1400 sq.ft) apartments which are stunningly crafted. The flats in Kanakia Rain Forest are tastefully furnished in terms of the interiors. The living room, dining room and the bedrooms are equipped with split ACs. The kitchens are adorned with imported marble flooring, and equipped with UV treated water, separate utility area, granite countertop and sink. It comprises of 600 units which are spread across 10 towers and some of these towers are interconnected by the terraces. Kanakia Rainforest thrives to offer all kind of ultramodern amenities all under one roof and ensures unhindered living in the eco-friendly surroundings. Kanakia builder is well-known developer of Mumbai who develops dozens of residential as well as a commercial tower with good time delivery. We have successfully delivered more than 8 million sq. ft. of residential and commercial projects that are land marks owing to their design, micro locations and occupant profiles. Company has over 5 million sq. ft. of space under various stages of development country wide. Kanakia Spaces are an endeavour of a group of experts who have come together with their vast experience and knowledge of large infrastructural projects. Kanakia Developers is a company of Engineers, Architects, Builders and planners. Kanakia Spaces provide high quality services to meet the needs of buyers. Andheri East is an incredible decision for buying residential property.Kanakia Rainforest is at an outstanding metropolis place called Mumbai. Andheri East is one of the famous private centre points and the most prestigious addresses of Mumbai with many facilities and utilities nearby. You may be occupied with purchase a flat as a venture or possibly you are searching for a home that suits the necessities of your family. The excellent civic amenities allowing smooth functioning of daily life of the residents. Some of the renowned schools and colleges, the famous ISKCON Temple, Hospitals also lie in the vicinity.Andheri Railway Station is the nearest station from Rainforest project location.Andheri East location is effectively networked to both the eastern and the western rural areas by Roads and Rails. 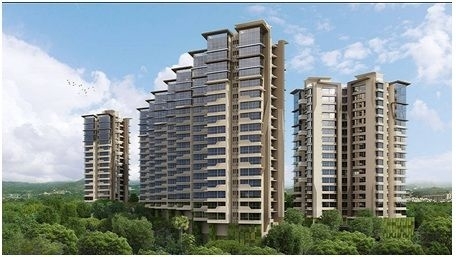 The Rainforest project by Kanakia Group situated in the Vijay Nagar the locality of suburban Andheri East, Mumbai. Indoor & outdoor facilities of Kanakia Rainforest includes : - Open Parking, Swimming Pool, Covered Parking, Garden, Intercom Facility, Joggers Track, Kids Play Area, 24X7 Power Back up, 24X7 Security, Air Conditioning, Landscaped Park, Lift, Multi-Purpose Court, Vaastu Compliant, Visitor Parking and much more. Schools: - Central Institute of Fisheries Education, Tolani Maritime Institute, Bombay Cambridge School, Canossa Convent Primary School. Hospitals: - Apollo Clinic, Paramount General Hospital, Holy Spirit Hospital. Shopping Malls: - Rolex Shopping Centre, The Hub Mall, Oberoi Mall, Harmony Mall, City Centre. Railway Stations: - Andheri Metro Station/Railway Station, Goregaon Railway Station, Jogeshwari Railway Station. Restaurants: - Sai Veg World, Udipi Vihar, Sahil Hotel, Trishna Sea food, Hotel Tatus Nook.